Happy World Conference Week! We’re only a few short days away from MAWC2019. Our excitement levels are through the roof. However, make sure to save some energy for the arena because we want to blow the roof off of the place with our cheering and celebrating! Showing up in the arena is only half the battle. The other half involves participating in the conversation on social media. 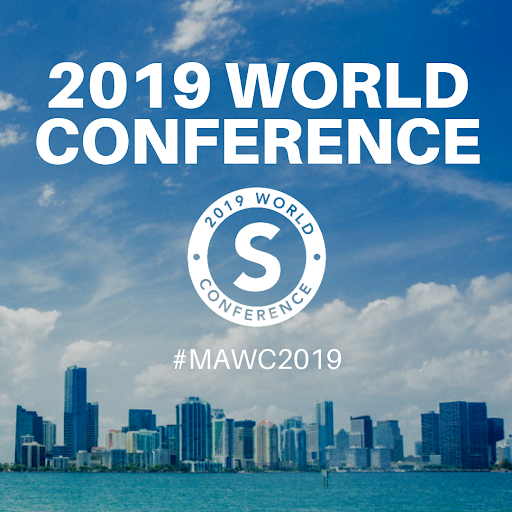 Our goal is to have #MAWC2019 every single day while we’re here in Miami. #MAWC2019 is the official hashtag of the event. Not only should you use it in all of your posts, but click on it to view important updates and information regarding the event. Follow all of our product lines and corporate executives to see how they are celebrating this wonderful week. Check out and read blog.UnFranchise.com, Blog.ShoppingAnnuity.com, beingjrridinger.com, and LorensWorld.com for recaps of the day’s presentations and announcements.